Half of PRs don't cut it, say journalists, while the latter's importance is waning for many comms pros, our new survey of 300 respondents reveals. PRWeek lifts the lid on what the professions really think of each other. It may be true that one profession would struggle to survive without the other but, while many PRs and journalists work together well, sadly the relationship can be characterised by misunderstanding, mistrust or even anger on both sides. PRWeek decided to undertake a detailed investigation into hack-flack relations in the current media climate, surveying journalists and PRs over the course of a month to lift the lid on how both sides regard the relationship. The areas we investigated included the basic competency of their professional counterparts, pay satisfaction, the capacity for drinking on the job and whether they could make a good fist of the other’s role. Here is the first section of the main findings. The actions of journalists generally affect the work of PRs and vice versa, but does each profession think its counterpart is up to the job? 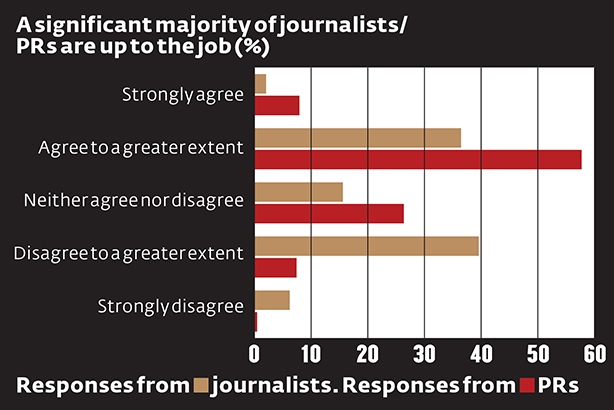 For journalists, 38 per cent strongly agreed, or agreed to a greater extent, that PRs are good at their jobs, but 46 per cent either disagreed or strongly disagreed with the statement. The problem, said many journalists in their comments, is that PRs are not spending enough time reading the papers, websites and magazines they are pitching to. As a result, much of the communication aimed at journalists is irrelevant and, therefore, treated as spam. "Many never read the papers so are not pitching correctly," wrote one journalist, while another said: "I receive a fair amount of calls from PRs who have no idea what the magazine and website I work on are about." PRs were, in general, more kind about their counterparts’ capabilities, with 66 per cent saying they agreed or strongly agreed that journalists were up to the job. Just eight per cent either disagreed or strongly disagreed. However, PRs’ comments made it clear they think some journalists are more up to the mark than others. One said: "Budget cuts in local media mean there are more unqualified reporters churning out inaccurate copy than there should be on ‘the home patch’." Another suggested: "Journos often suffer from lack of resource and time, with not enough staff." 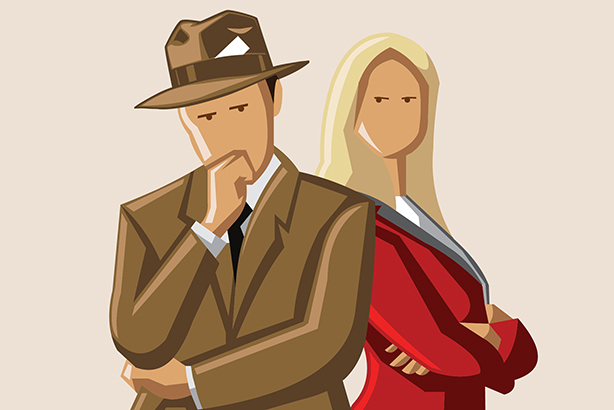 Look out for further revelations from the 'Hacks vs Flacks' survey this week, including whether both sides think the other has a difficult job and what they really think of each other.